Everything that your office needs! IT Rentals, Maintenance and Support Simplified..
VRS Technologies, specializing in IT consulting, services, support, maintenance and technology renting, caters to businesses of any size. Touching all the technical requirement of clients through smart solutions is what we do at VRS. We specialized in 7 major segments which include Services, Annual Maintenance Contracts(AMC), Computer Rentals, Panasonic ePABX, Biometric Access Control, CCTV DVR Solutions and Structured Cabling. We are expert in Laptop Rental, iPad Rental. We visualize ourselves as the single choice of e-solution provider for different businesses with different choices. We are on a mission to instill technical excellence in businesses and organizations across various industries in the Middle East by offering superior IT services and consulting in affordable range. Growing exponentially through ethical business practices is what we aim at. Different people Different choices, VRS Technologies e-Solutions for everyone. Laptop Rentals in Dubai Laptop Rental Need a laptop/computers or other hardware peripherals for your new workplace? Are you a student/ working professional/Event Organiser/ Tourist? We had a great experience working with you guys. Thorough professionals! I would definitely recommend them to everyone I know. Keep up the great work guys! Its been really nice working with guys at VRS technologies. They effortlessly upgraded the memory and storage of all our desktops at all our UAE branches. Thanks to VRS, now all our 40 branches have CCTV surveillance and Biometric Attendance Systems installed . We appreciate the help.Thanks. Its been really nice working with you guys at VRS technologies. They easily upgraded the memory and storage of all our desktops at all our UAE branches.All the best to the team. 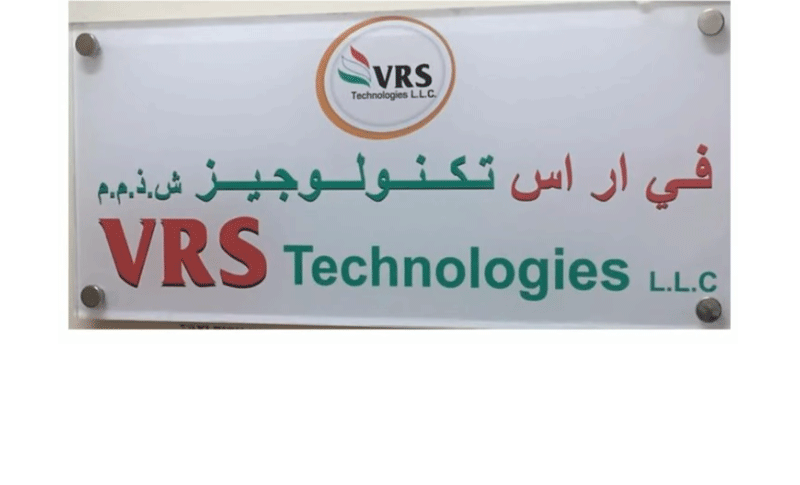 VRS Technologies LLC has constantly been the tag name in the evolving market to bring about the best practices towards incorporating the blend of technological innovations in the market today. We have been persistently striving hard to render our excellent services to enhance the business solutions for the plethora of organizations towards enhancing the customer’s expectations in the long run. We have an-house team of technical experts who are certified professionals with a vast technical background and field experience. We have an inherent ability to sustain the technical bandwidth to serve the large enterprise and at the same time to the small and medium scale enterprises (SME’s). Our team constantly ensures that we give individual attention to all the customers. We have been constantly strategizing ourselves towards bringing about the quickest resolution coupled with planning and implementation. Taking the client’s approval and the possible feedbacks at every level has been our ardent system of practice at VRS.